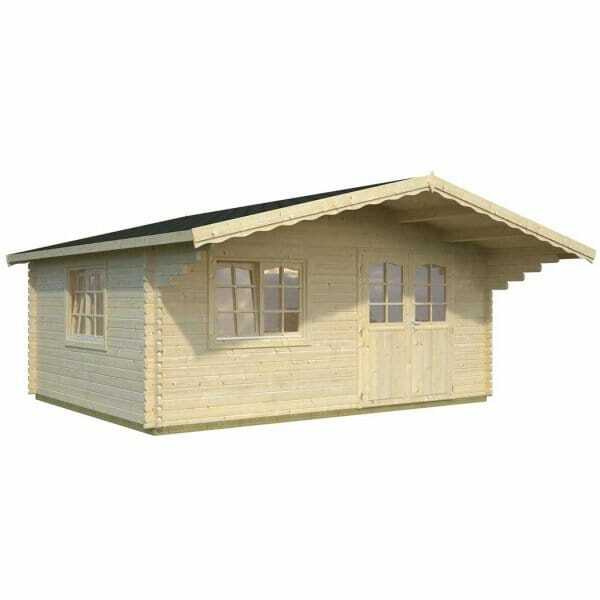 Palmako Sally 19.1m²: Palmako Derwent Log Cabin is a large, double glazed superb value 44mm log cabin. It is a very practical addition to the garden offering numerous potential uses. It features 44mm wall planks, a double glazed door & 2 double opening double glazed window - one on the front and one that can be positioned on either side of the building. Also, if required the window and the door in the front wall can exchange places as part of the build of these Log Cabins.